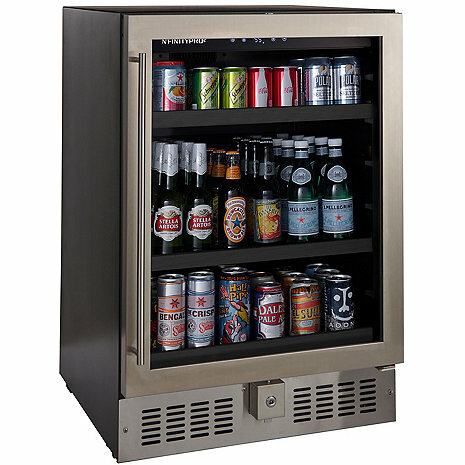 The N’FINITY PRO2 S Beverage Center holds up to 178 cans and bottles. If the power goes off, does this unit come back on automatically, or do you have to be present to manually turn it on again? The refrigerator packaging was excellent and the unit arrived undamaged. It has only been running for a few days but it is cooling perfectly and can hold a large assortment of cans and bottles. Unfortunately for us the modular fan in the bottom of the refrigerator is very loud when it's running, which is anytime the unit is actively cooling. Maybe our unit has a bad fan but it is far from the library quiet which was advertised.